Sometimes when I’m a million miles away in daydream-land (or Pei-land, as I like to call it), I think about sitting in a nice beach chair on a beautiful little island and enjoying the sun, eating endless amounts of incredible food. 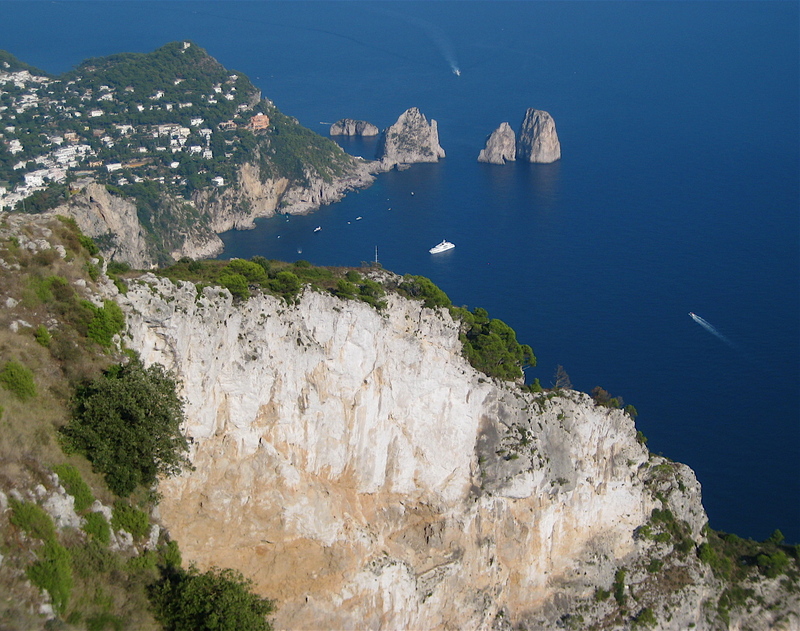 The Italian island of Capri does not have sandy beaches, but elegant high rocky cliffs. 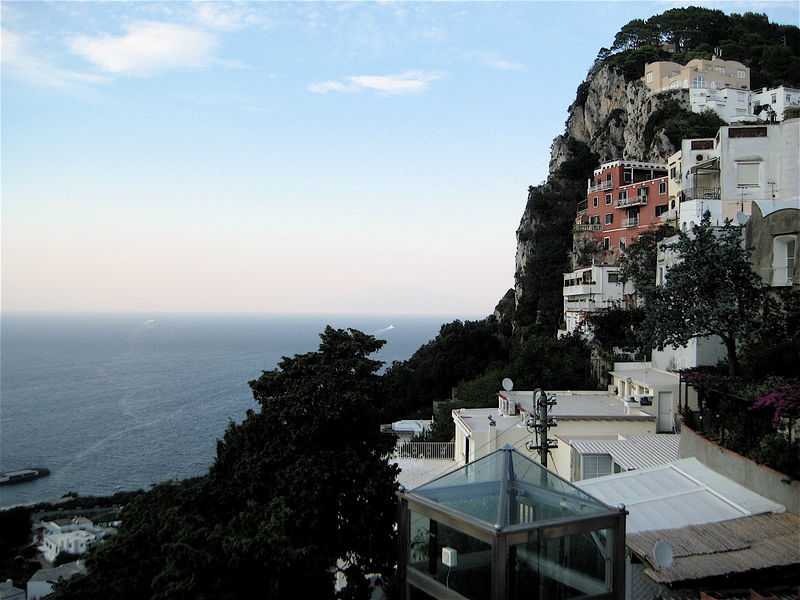 White villas and hotels are strategically embedded in the massive rock for an incredible view of the green-blue water and the faint image of volcano Mount Vesuvius in the distance. 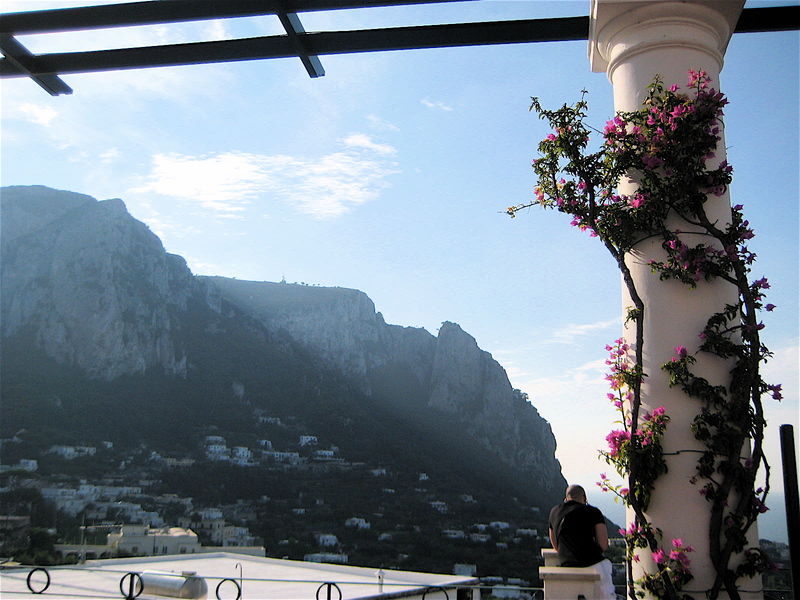 Capri was originally an exclusive resort island for the ancient Romans. 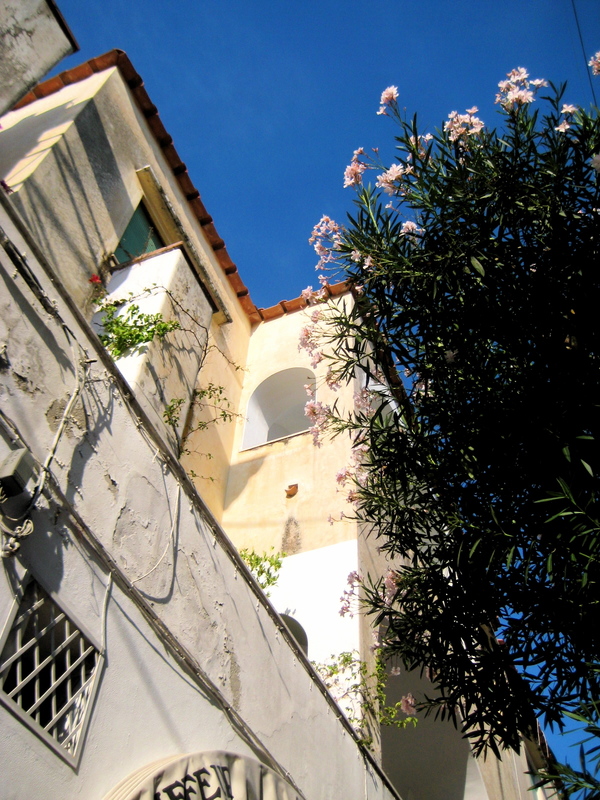 The Roman emperor Tiberius built villas at Capri and then later decided to move there permanently in 27 A.D. Can’t say that I blame him, although I think technically he was trying to escape assassination by hiding out on a secluded island…but I guess it also kind of helped that it is gorgeous there. 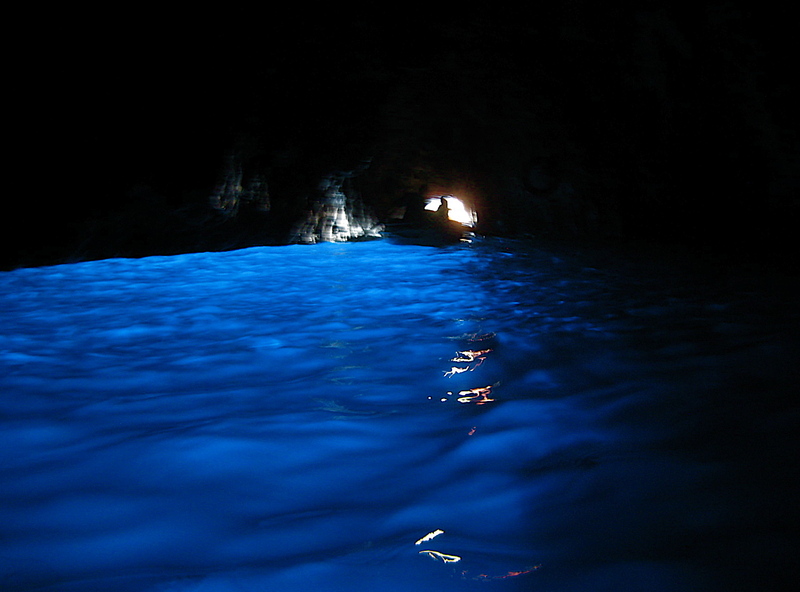 We went to see la Grotta Azzurra, a cave known for its naturally deep blue water, which served as emperor Tiberius’ personal swimming pool. 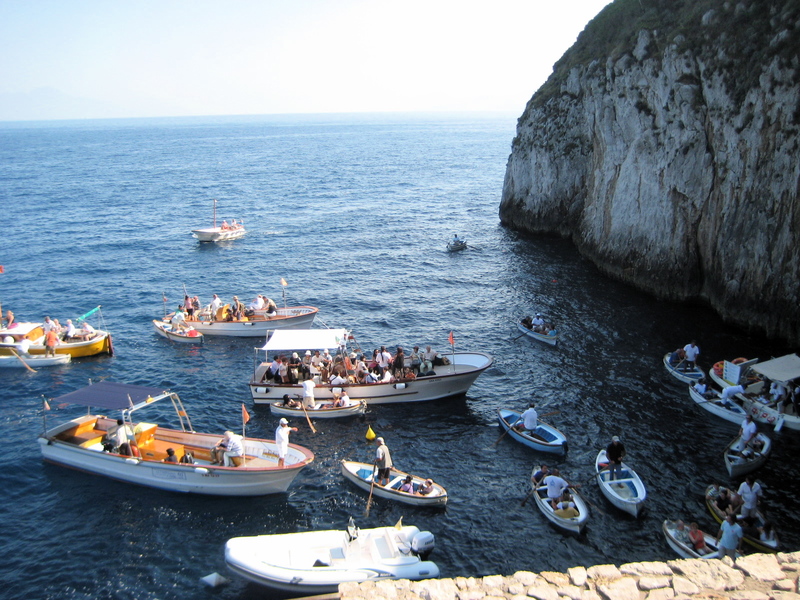 The only way to get in the cave is by literally lying down in a rowboat on top of other tourists while an Italian rower ducks down and pushes the boat through. It is probably one of the more awkward tourist experiences you can have, as I am not in the habit of invading the personal space of strangers, let alone leaning backwards on top of them. But it is rather striking inside because the water is illuminated by the tiny bit of light that comes through the entrance. 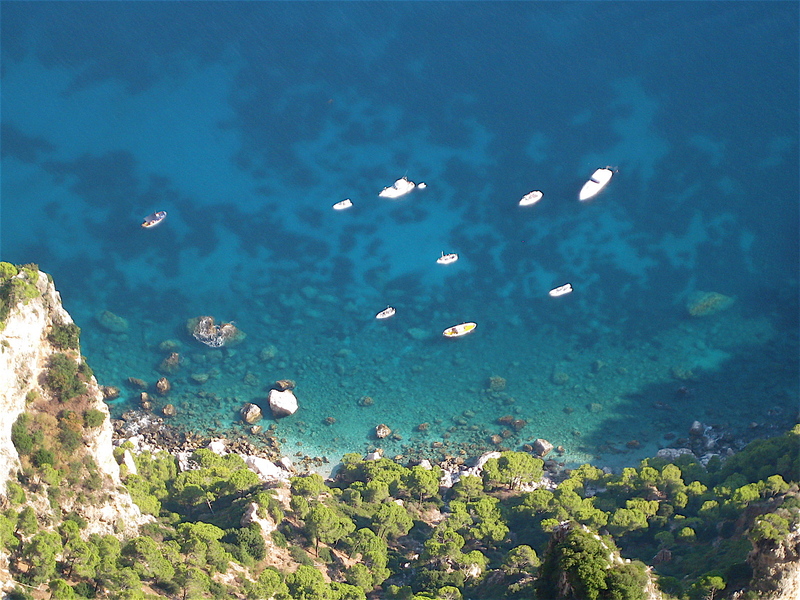 I wished I could just jump out, swim, and be surrounded by blue! Or conquer it and take it from the other tourists to make it my own personal swimming pool. 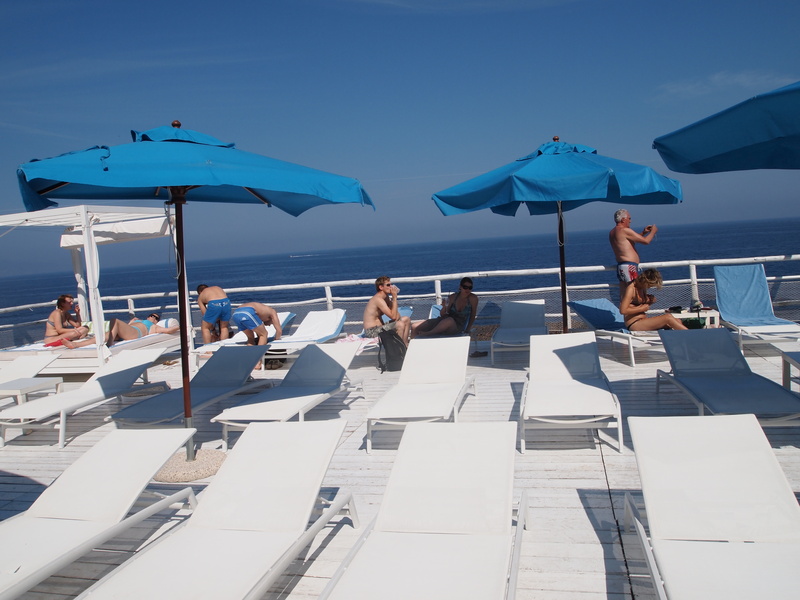 Instead of beaches, Capri has sunning decks with gorgeous island and water views so you can relax for the entire day and order drinks, snacks, or meals. There was also a ladder off the side of the rocks to jump straight into the ocean. There are no lifeguards, no rules or anything- you are free to do as you please…as long as you aren’t a complete idiot and try to swim out too far to the point where you need lifeguard help. 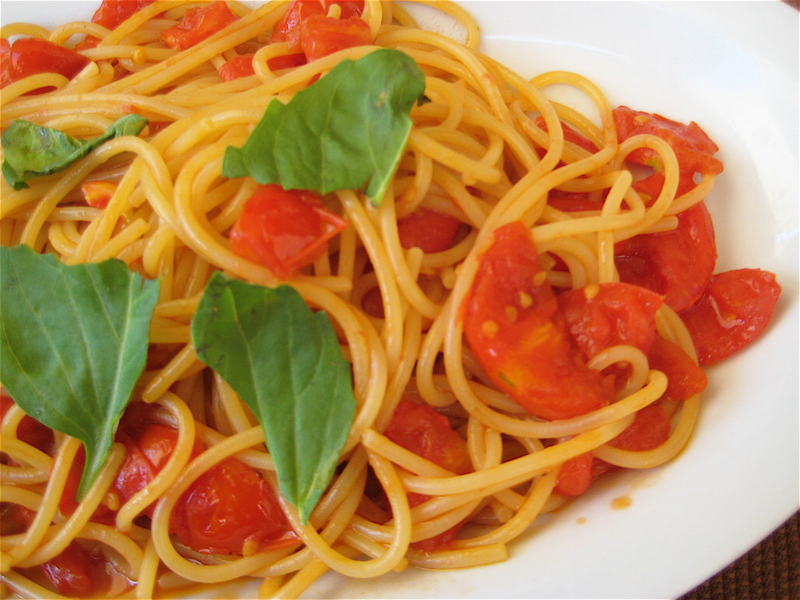 I ordered a simple spaghetti with tomato sauce and basil, made with my favorite delicious pomodorini vesuviani. Once again, the red sauces in the south are so light and memorable. 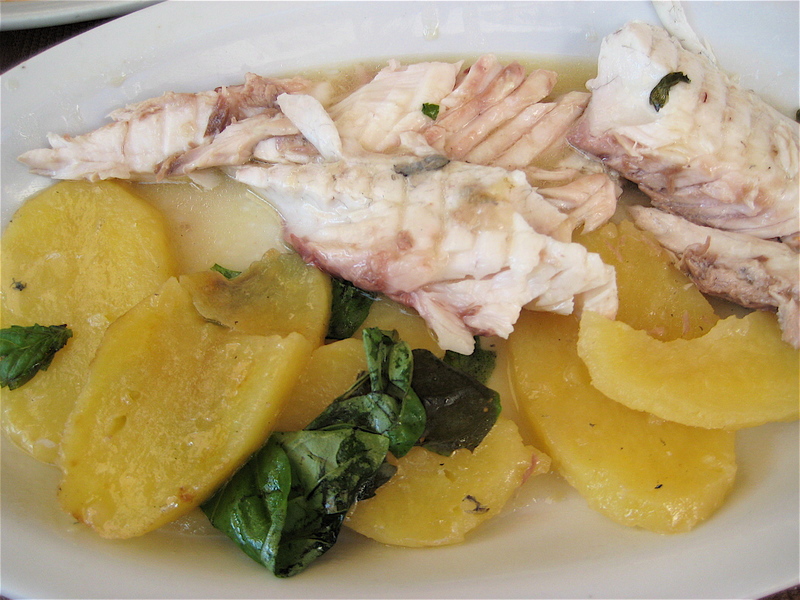 And we had to try some of the fresh local fish from Capri, so we ordered a whole fish cooked with butter, potatoes, and basil. 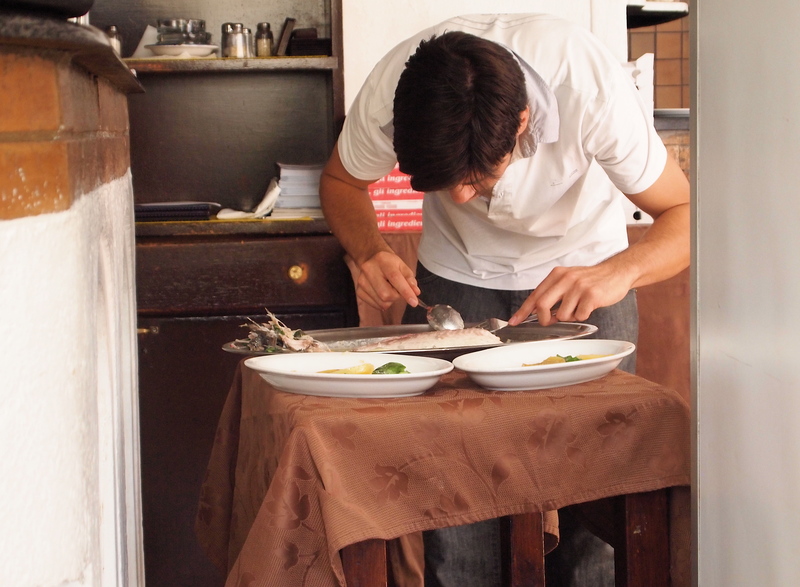 The waiter brought the fish out and de-boned it for us before making two perfect platters. I would love to re-create this at home. Seems simple enough and of course it was delicious. 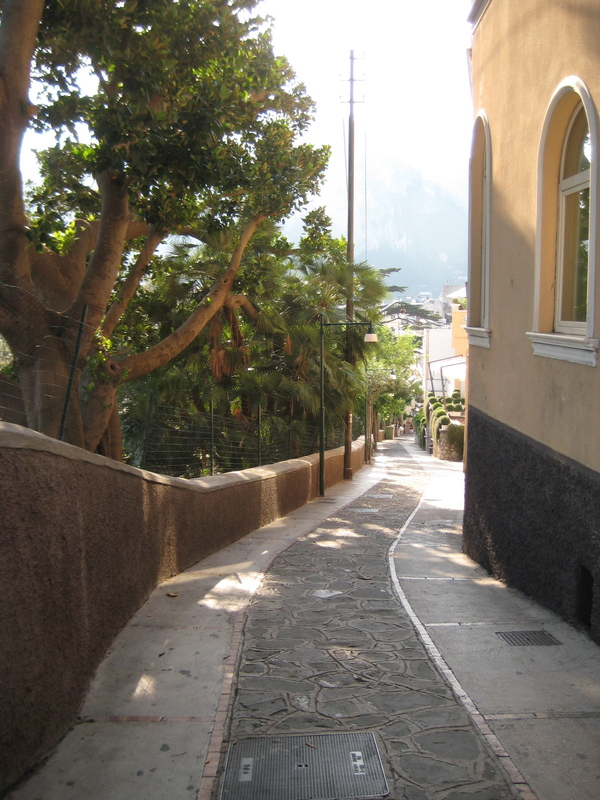 The rest of the afternoon consisted of leisurely walks around Anacapri, the town at the highest point on the island. 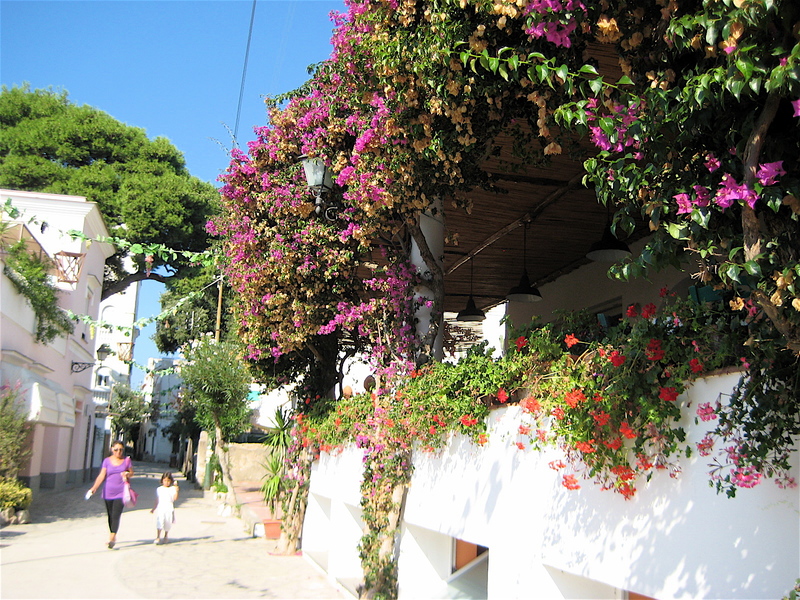 The buildings and houses have a lot of character and match the island surroundings perfectly. Somehow everyone was able to coordinate their great taste. We took a fun ride on a ski-lift that brings you to the very top for a rare panoramic view. But unlike my daydreams, it started to get dark and my lovely day was ending quickly. 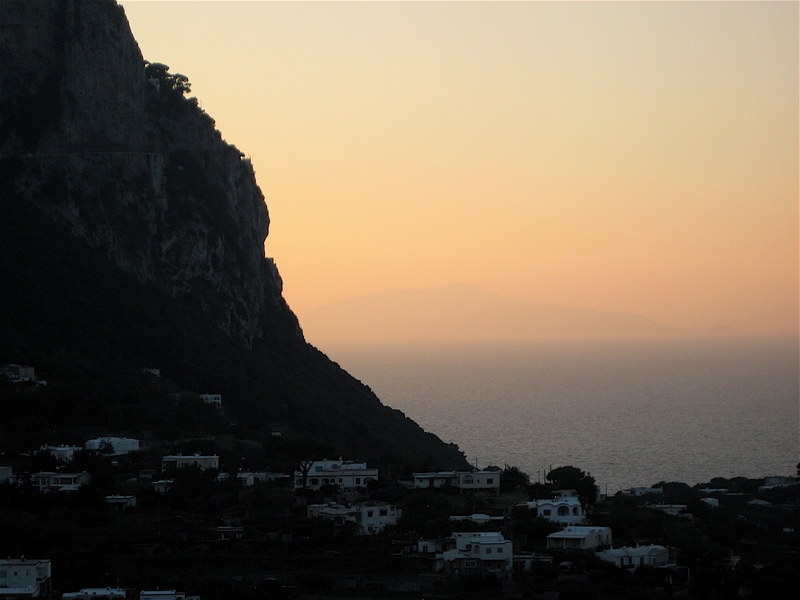 Shops began to close, and we had to catch the evening boat back to Naples. Funny, that never happens in Pei-land! 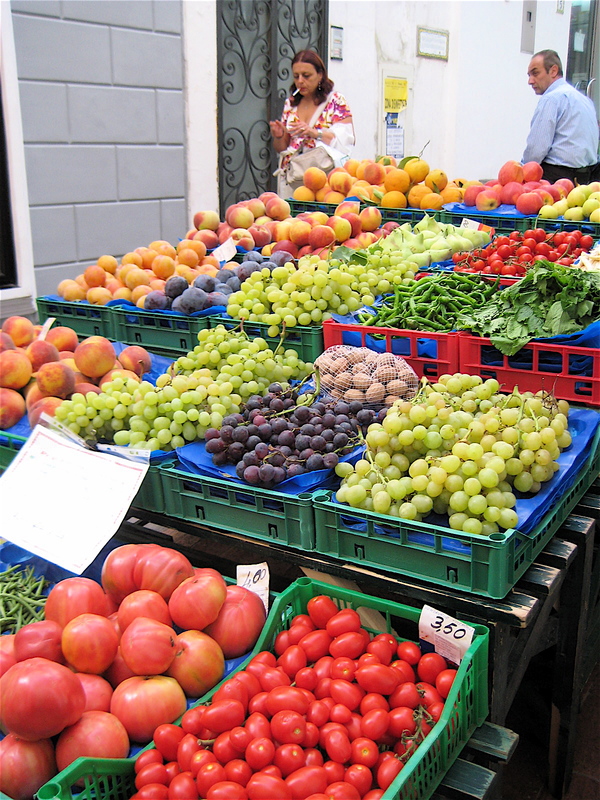 Where are more posts???? Do some updates please!!! !